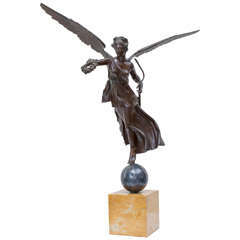 This is a stunning bronze example of the Winged Victory of Samothrace, also called the Nike of Samothrace. 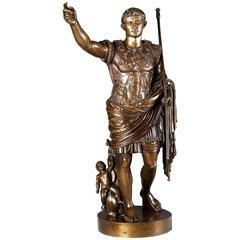 The original is made of marble of the Hellenistic Period, 2nd century BC and graces the stairway entrance to the Antiquities Gallery of the Louvre. 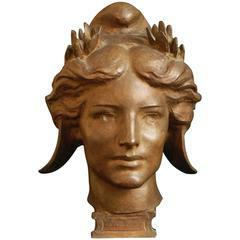 The patina on the bronze is superb. 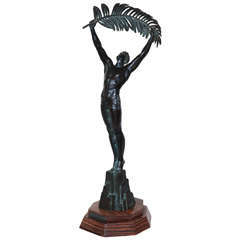 The sculpture stands on a granite base. 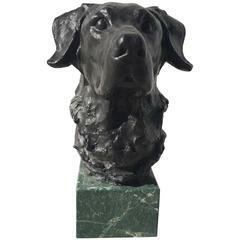 We have a marble pedestal that will raise the height to 72“. 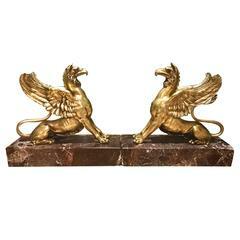 This gorgeous pair of bronze griffins were designed after the antique in the Regency period in England, ca. 1820. They are standing on red marble bases. 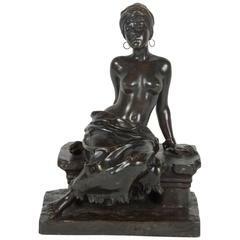 Orientalist bronze sculpture of a girl with removable skirt. Signed E. Villains.